Y'all, tomorrow is Mardi Gras. 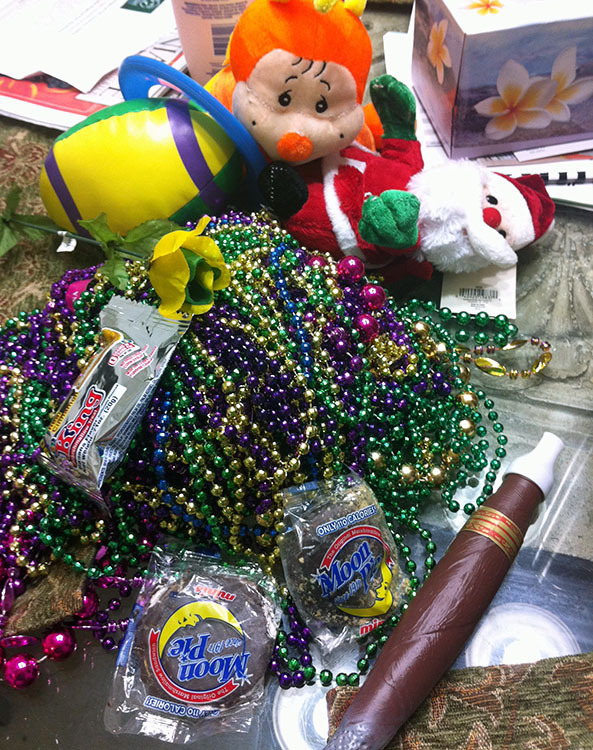 In your neck of the woods that might not mean much, but here in South Alabama it means schools are closed, banks are closed, and lots of people are off work for the revelry that is Fat Tuesday. I'm supposed to head downtown with my mom and nieces tomorrow, but I feel AWFUL right now. 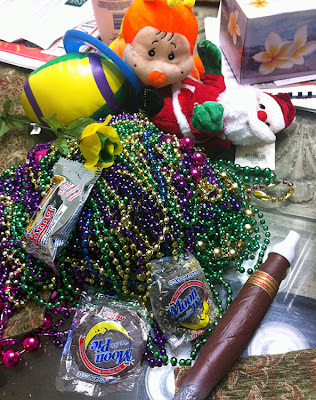 It's probably because I already partook in some of the revelry this past week and exposed myself to sickness of some kind while catching the loot thrown from the floats. I'm trying to take today slow and steady in hopes that I'll feel up to the city-wide party in the morning. Until then it's business as usual for me. That's means it's time to share my menu for the week. So that's the plan. . .I think. It's a little more meat than we've been consuming, but I think we'll be okay for one week. Now, you go see what everyone else has planned for this upcoming first week of Lent over at I'm an Organizing Junkie's Menu Plan Monday. I hope you enjoy your Mardi Gras tomorrow and party like a Champion. Big Al float at the Mystic Stripers parade. Their theme was "Mascots, Southern Style"
Sorry, I had to work in this most awesome float picture somehow! 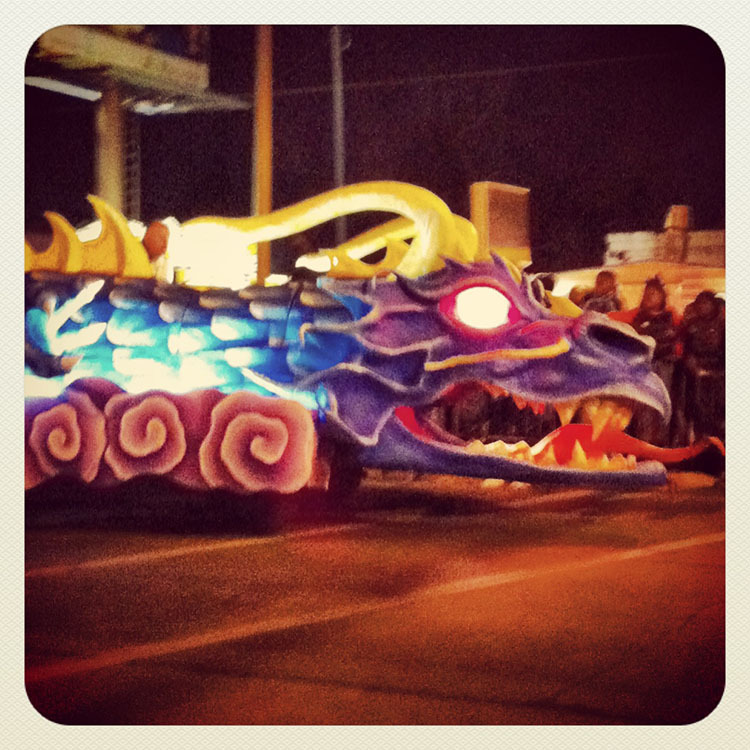 I hope you feel better in time to enjoy at least some of the Mardi Gras festivities. I hope you feel better tomorrow so you can enjoy all the revelry! Have a great time! I was going to say "ooh, Moon Pies! 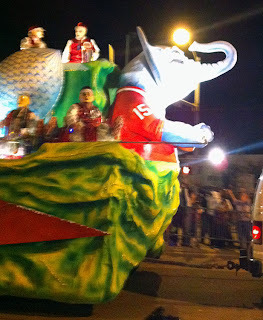 ", but then I saw the Big Al float -- you know I loved that! Hope you feel up to getting out tomorrow for the festivities. 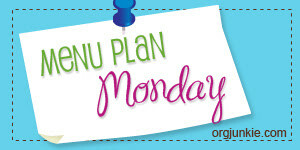 I'm stopping by from Organizing Junkie's Menu Plan Monday today for a blog visit. Sorry to hear you're not feeling well. Get better soon! I hope you feel better soon. I remember how much I hated missing a parade when we lived south of I-10. Sounds like a fun time -- hope you recovered enough to enjoy it.